Underwater positioning and communications technology leader Sonardyne International Ltd. has initiated a collaborative project to drive a major step change in ocean system autonomy for long-endurance autonomous underwater vehicles (AUVs). 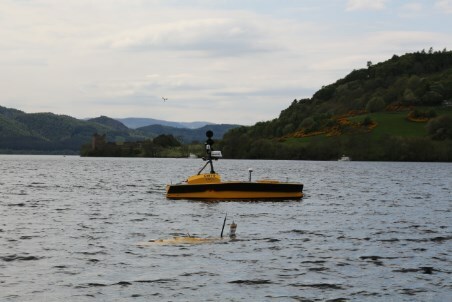 "Sonardyne leads ocean autonomous systems collaboration project"
The ambition of the Innovate UK-supported Precise Positioning for Persistent AUVs (P3AUV) project is to enable AUVs to operate at high levels of navigation performance with less surface support and for longer periods. With partners L3 ASV and the National Oceanography Centre (NOC), Sonardyne will focus on longer-term navigational accuracy for AUVs in deep water, while reducing power requirements and increasing autonomy in marine operations. The P3AUV project will involve trials using Sonardyne’s leading underwater positioning technology on the NOC’s Autosub Long Range (ALR) and L3 ASV’s C-Worker 7 autonomous surface vehicle (ASV). The project, which will include trials in Loch Ness next month, is due to run until late 2019.